Bebe Bath Corolle's Flowers loves to splish-splash in the water! This water-play companion also helps children slowly familiarize themselves with all types of aquatic environments: - bathtub (soapy water) - swimming pool (chlorinated water) - sea (salt water). 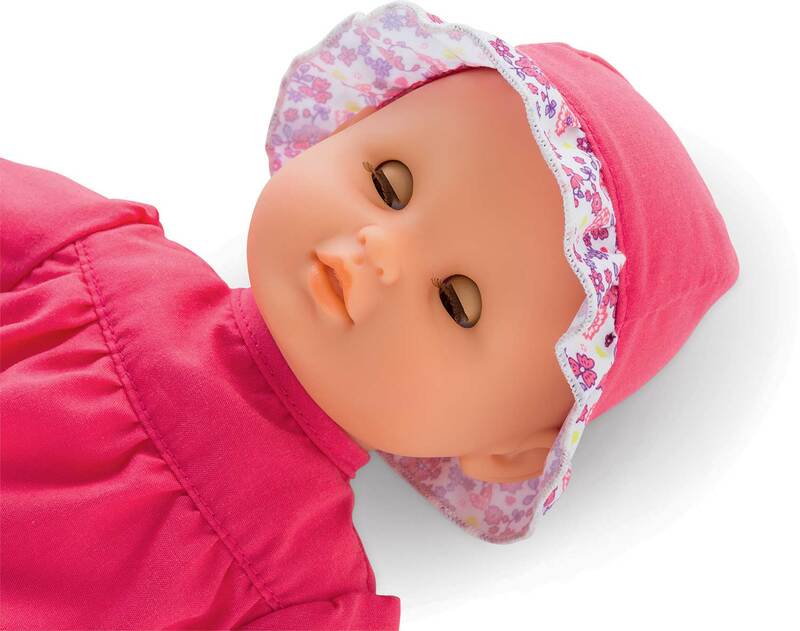 There is a tab sewn onto the doll's back so it can be hung up to dry when bathtime or water playtime is over. 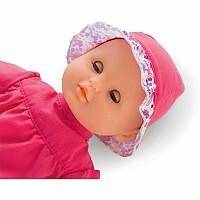 Its 12-inch size fits perfectly in your child's small arms and is ideal for hugging and cuddling. The doll's head and limbs are made of soft vinyl that is lightly scented with vanilla, a Corolle signature. Its soft body allows it to take on the same positions as a real baby, and its brown sleepy eyes close when put down for a nap or at bedtime, also like a real baby. 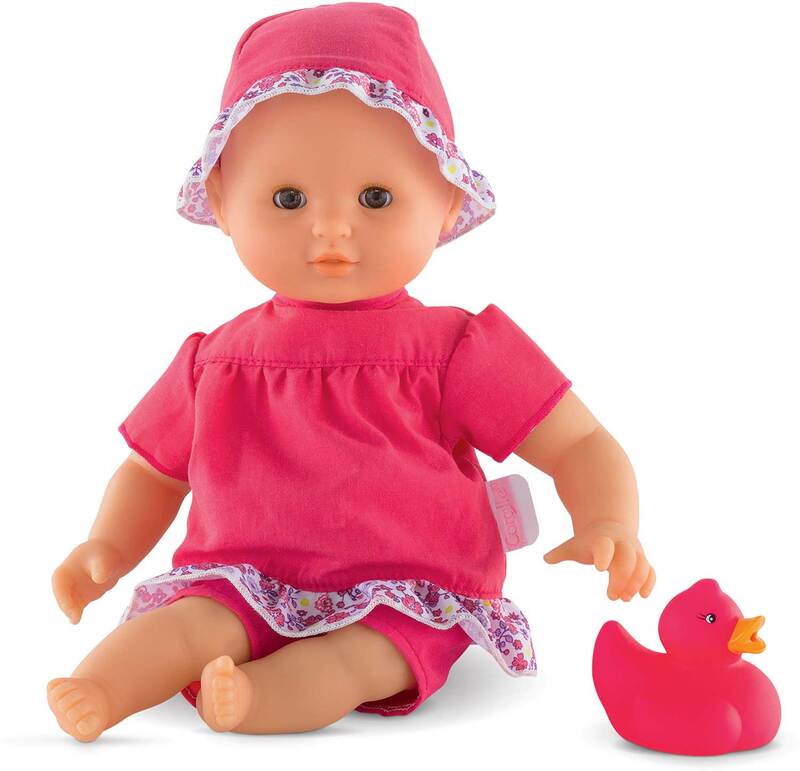 Dressed in a charming top and bloomers and wears a matching sun hat and complete with its own bath toy, Bebe Bath Corolle's Flowers is part of the mon premier poupon Corolle collection of dolls, clothing and accessories for beginning doll play. Ages 18 months and up. Recommended for ages : 0 to 7.